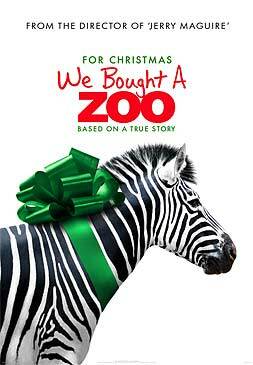 WE BOUGHT A ZOO is a funny, inspiring and true story about the magical power of family in the face of extraordinary challenges. Matt Damon stars as ‘Benjamin Mee’ a single father raising two kids who decides to give them a much needed fresh start by moving to a rural home outside the city, that comes with a unique bonus feature: a zoo where dozens of animals reside under the care of head zookeeper Kelly Foster (Scarlett Johansson) and her dedicated team. With no experience, limited time and a shoestring budget, Damon’s character preservers in this uplifting story filled with humor, heart and courage, under the direction of Cameron Crowe who also brought us the hit films JERRY MAGUIRE and ALMOST FAMOUS.